Learn difference between Network OS and Distributed OS? Network OS is used to manage networked computers, means there would be a server and one or more computers will be managed by that server like in your college, you might have got one dedicated server and it will manage your individual computers or laptop. Distributed OS is one where all of computers that are connected can share in tasks.For ex. if you and your friend are connected each other using distributed OS then you can use a program which is actually on someone Else's computer.This is the reason distributed OS needs more RAM & High speed processor. In case of Networked OS,connected computers share some resources but not that much like Distributed OS, rather the server provides the necessary services for the connected computers in Networked OS. Network Network OS is used to manage Networked computer systems and create,maintain and transfer files in that Network. Distributed OS is also similar to Networked OS but in addition to it the platform on which it is running should have high configuration such as more capacity RAM, High speed Processor. – Network OS is built on top of centralized OS. – Handles interfacing and coordination between local OSs. Initially, computers were built to operate as a singular entity; having discrete resources and individual operating system. Although the use of multiple computers to solve a single problem is not unheard of, it is often a human’s job to subdivide the problem into manageable chunks that the computers can separately work on. A distributed OS is just an improvement of the original concept. But instead of a human cutting up the job, the OS is smart enough to know which computers are overloaded and which ones are idle. It would then balance the tasks available so that each computer in the group is sharing equal load. This is good for maximizing the usefulness of each computer. The drawback though is that you would need to upgrade all the units every so often to maintain a reasonable level of performance. There is also some software that is simply not compatible with distributed computing. They are not optimized to take advantage of multiple processes, and as such can only be processed by one computer. The appearance of network operating systems is a direct result of the need to cut costs and control each computer in the system. Network OS does not reside on every computer, the client only has enough software to boot the hardware and contact the server. 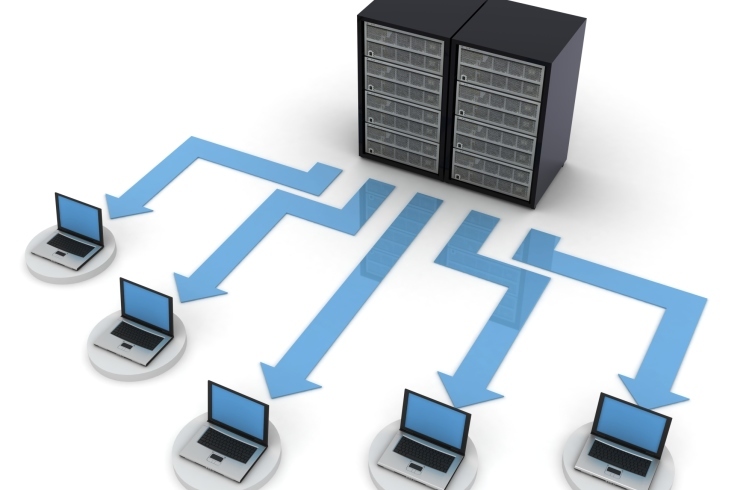 All the subsequent operations are done on the server, and the only role of the client is to relay the input and output between the server and the user. This is very effective in controlling the installed software since clients do not have the capability to add or remove software. A network OS requires a very minimal amount of hardware on the client, although the server should be capable to handle the demands of multiple users. This means that you would not need to upgrade the clients as long as you keep the server properly maintained. This even led to the creation of thin clients or devices that cannot function on their own but are meant to work with network OS. Depending on the needs and resources of your company, a distributed or network OS might be worth looking into. Each has its own advantages and disadvantages that you should take into consideration. A distributed OS could cost a bit more than a network OS, but a network OS cannot handle computation intensive programs due to the stress it puts in the server. ||ੴ||ਇੱਕ ਓਅੰਕਾਰ Satnam Shri Waheguru Ji A Web Blog about Product Review, Blogging Tips, Tech Reviews: Learn difference between Network OS and Distributed OS?